I came to love travelling when I was in Nepal from october 2012 to february 2013.I was travelling alone for this first time. Ever since I’ve wanted to go back. One of my all time favourite photos from Nepal. 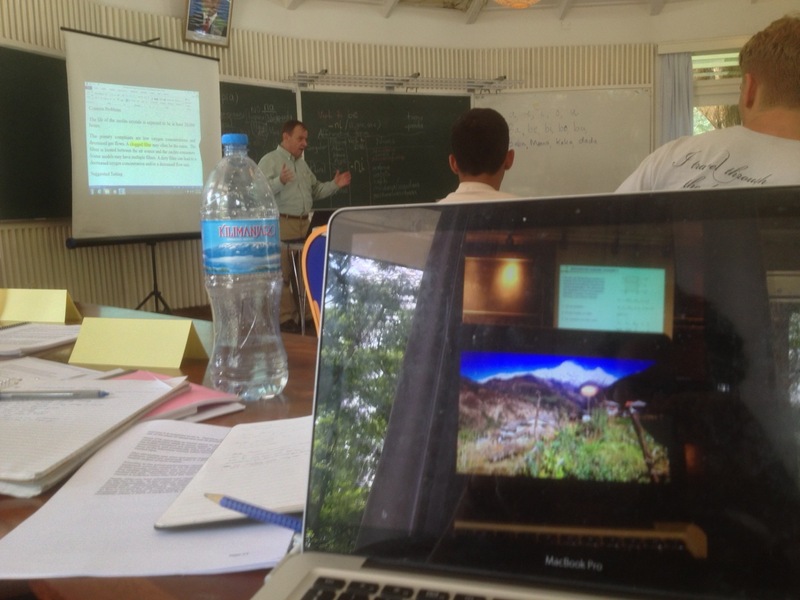 At DTU (Technical University of Denmark) attending Lecture about fluid mechanics while whishing I was back in Nepal. 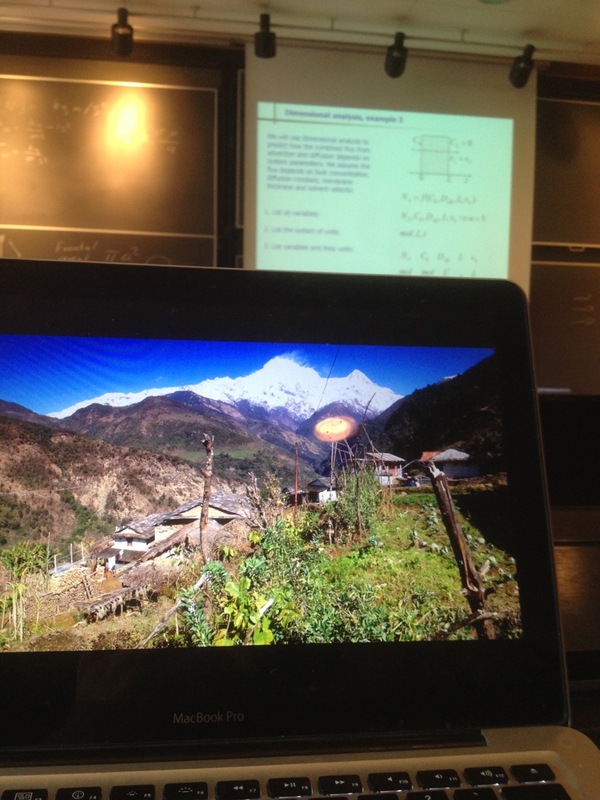 In another classroom, watching the picture I took sitting in the classroom at DTU watching a picture of Nepal. This is me feeling like it is Nepal is slipping away – and that I’ll have to go back before long.